New Mumbai metro will beat traffic, but at what cost? 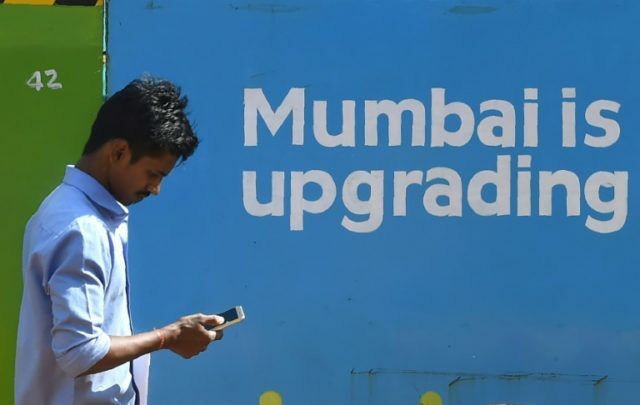 Mumbai (AFP) – A new underground metro is expected to ease the burden on Mumbai’s notoriously congested roads and railways, but not everybody in India’s sprawling financial capital is happy about the multi-billion-dollar project. Announced in 2014 with much fanfare, the Metro 3 line has been hailed by backers as essential to help solve the city’s traffic woes and finally provide a link to its airports. But campaigners are angry at the felling of thousands of trees, and say it could desecrate temples and lead to the destruction of an urban forest tribal groups call home. The scheme has faced considerable opposition in court, delaying completion and highlighting the complexities of undertaking major infrastructure work in the world’s largest democracy where people have the right of redress. “This is one of India’s biggest projects. It has faced immense difficulties and challenges of different types,” says Ashwini Bhide, managing director of the Mumbai Metro Rail Corporation. The 231-billion-rupee ($3.6 billion) line will link Mumbai’s popular tourist destination of Colaba in the historic south to SEEPZ, a special economic zone situated 33.5 kilometres (21 miles) north. It will boast 27 stops servicing the coastal city’s busiest business districts, including Bandra Kurla Complex and Lower Parel, where 23 people died during a stampede at a railway station last year. The line is scheduled to be finished by December 2021. “Congestion on the road will be substantially reduced because of this corridor,” Bhide told AFP, estimating that 650,000 vehicle trips could disappear from the roads daily. Metro 3 also aims to ease the load on Mumbai’s creaking railway lines where an average of more than nine people lose their lives every day, often falling off overcrowded carriages. Seven million people use Mumbai’s railway daily. Bhide says the new metro will carry 1.7 million passengers per day, freeing up space on overground trains. “The quality of commute, ease of travelling and speed of travelling will increase,” she says. Mumbai effectively shuts down when trains cannot run, as is often the case when tracks flood during the four-month summer monsoon. The underground will ensure the city keeps running, advocates say. Work began in October 2016 and large areas of the city have been dug up to bore tunnels, which will be up to 22 metres (72 feet) deep. Barriers shielding construction work boast the tagline “Mumbai is upgrading” but while most people support the project, several groups are angry. Thousands of Parsis signed a petition calling for the route to be changed so trains do not pass under fire temples where Zoroastrians worship, claiming it would pollute the “holy fire” and force nature to exact its revenge. Environmentalists unsuccessfully went to court to stop the destruction of thousands of trees, and also object to plans for a depot and station on a 33-hectare (82-acre) site in Aarey Colony, a biodiversity hotspot. The area borders Sanjay Gandhi National Park, home to leopards, birds and other animals. “It’s a beautiful forest in the heart of Mumbai, an oxygen cylinder for the city that needs to be protected,” Stalin Dayanand, director of the environmental non-profit organisation Vanashakti, told AFP. “Once the shed and station come up, it opens the door for real estate developers to construct properties there,” he added. Some 7,000 indigenous Indians — the Warlis — also live across Aarey, which at more than 1,200 hectares is a green oasis in the teeming city. The animists worship wildlife and are famous for their simple paintings depicting nature. Prakash Bhoir, a tribal leader, says the area, where Warlis have lived for centuries, has witnessed severe encroachment in recent years. “The destruction of the forest is happening at an alarming rate. We don’t want change or development here. Let it stay the way it is,” he told AFP. The Bombay High Court is hearing a petition against the depot but Bhide claims Aarey is the only suitable place for it in space-starved Mumbai. She says legal challenges have put the underground line’s completion date back by around ten months.